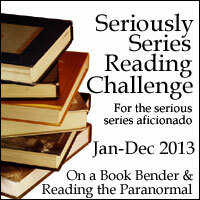 This challenge is co-hosted by On a Book Bender & Reading the Paranormal! I think I have found my brain twins in the bloggers hosting this series challenge. Catching up on series is exactly what I have been trying to do this year!